Maltese police said that the girl got into difficulty while swimming in a pool at a private residence. Pictured is Triq Malta, the road where the incident occurred. A SIX-YEAR-OLD IRISH girl sustained serious injuries after an incident at a house in Malta yesterday evening. Initial investigations by police in Gozo revealed that at about 5.30pm the girl found herself in difficulty while swimming in a pool at a private residence in Triq Malta, Ghajnsielem. 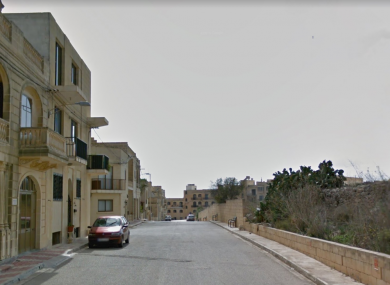 She was given first aid by family members until an ambulance arrived on site and brought her to Gozo General Hospital where her injuries are described as serious by local police. A Magisterial Inquiry has been appointed into the case and police investigations are still underway. The Department of Foreign Affairs said it is aware of the case and stand ready to provide consular assistance if requested. Email “Six-year-old Irish girl seriously injured in Malta”. Feedback on “Six-year-old Irish girl seriously injured in Malta”.